The Bahamas are one of the world's favorite cruise destinations. Close proximity to Florida makes the islands a short voyage from Port Canaveral. Most of the cruises are just 3 or 4 days and are relatively affordable. What is there to do in the Bahamas? Try gambling, golf, windsurfing, or shopping. Incredibly clear waters and soft sand make it a great place to spend a day at the beach or take a snorkeling or diving excursion. Throw on a swimsuit. Explore the emerald green, turquoise, and crystal-blue waters one sport at a time. Nassau is the main port of call in the Bahamas. Attractions include beaches, golf, nightlife and casinos. The city is on New Providence Island, neighbor to Paradise Island. This island pair blends international glamour and tropical ease, giving you the freedom to do everything or nothing at all. It's also a compact place, so you can walk to everything. 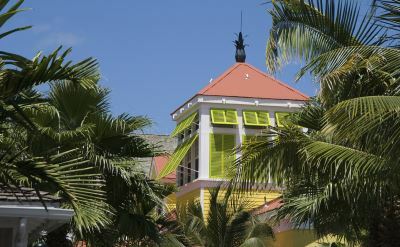 Nassau is a shopper's paradise offering everything from designer fashions and jewelry at duty-free prices to locally produced arts and crafts. Join in the fun of bargaining at the famous Straw Market or browse in the fashionable elegance of Bay Street's international boutiques. American currency is accepted. Special treats are cruises to private islands in the Bahamas. Each of the cruise lines own one and they are very popular with guests. Castaway Cay is Disney's private island. CocoCay is Royal Caribbean's island. 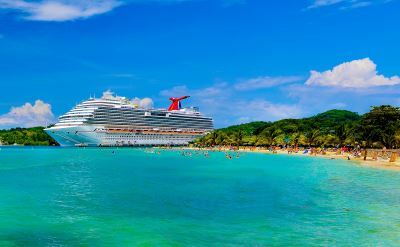 3-day cruises to the Bahamas on Carnival Cruise Line. Round-trip from Port Canaveral to Nassau (Bahamas). • 2019 departures: April 4, 11, 18, 25; May 10, 17, 24, 31; June 7, 14, 21, 28; July 5, 12, 19, 26; August 2, 9, 16, 23, 30; September 6, 13, 20, 27; October 4, 11, 18, 25; November 1, 8, 15, 22; December 6, 13, 20, 27. 3-night cruises to the Bahamas on Disney Cruise Line. Round-trip from Port Canaveral to Nassau (Bahamas) and Castaway Cay (private island in Bahamas). • 2019 departures: April 5, 12, 19, 26; May 3, 10, 17, 24, 31. 3-night cruises to the Bahamas on Royal Caribbean. Round-trip from Port Canaveral to Nassau (Bahamas) and CocoCay (Bahamas). • 2019 departures: April 5, April 12, April 19, April 26, May 6, May 10, May 24, May 31, June 7, June 14, June 21, June 28, July 5, July 12, July 19, July 29, August 2, August 9, August 16, August 23, August 30, September 6, September 13, September 27, October 4, October 11, October 18, October 25, November 1, November 15, November 22, November 29, December 6, December 13, December 20, December 27. 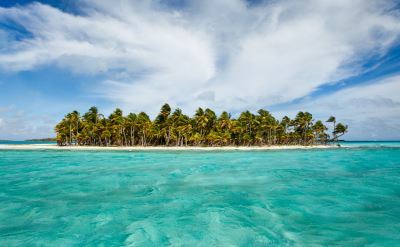 4-day cruises to the Bahamas on Carnival Cruise Line. Round-trip from Port Canaveral to Freeport (Bahamas) and Nassau (Bahamas). • 2019 departures: April 7, 21; May 6, 20; June 3, 6, 17, 20; July 1, 4, 15, 18, 29; August 1, 12, 15, 26, 29; September 9, 12, 23, 26; October 7, 10, 21, 24; November 4, 7, 18, 21; December 2, 16, 19, 30. 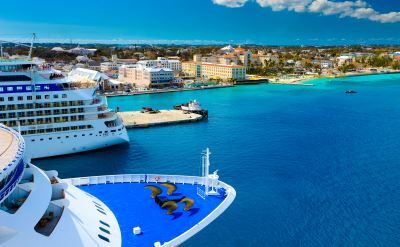 4-day cruises to the Bahamas on Carnival Cruise Line. Round-trip from Port Canaveral to Princess Cays (Bahamas) and Nassau (Bahamas). • 2019 departures: April 14, 28; May 2, 13, 27; June 10, 24; July 8, 22; August 5, 19; September 2, 16, 30. 4-night cruises to the Bahamas on Disney Cruise Line. Round-trip from Port Canaveral to Nassau (Bahamas) and Castaway Cay (Bahamas). • 2019 departures: April 1, 8, 15, 22, 29; May 6, 13, 20, 27. 4-night cruises to the Bahamas on Royal Caribbean. Round-trip from Port Canaveral to CocoCay (Bahamas) and Nassau (Bahamas). • 2019 departures: April 1, April 8, April 15, April 22, April 29, May 6, May 13, May 20, May 27, June 3, June 10, June 17, June 24, July 1, July 8, July 15, July 22, July 29, August 5, August 12, August 19, August 26, September 2, September 9, September 16, September 23, September 30, October 7, October 14, October 21, October 28, November 4, November 11, November 18, November 25, December 2, December 9, December 16, December 23, December 30.